We are famous manufacturer and exporter of channel magnets that is used for the high temperature applications. 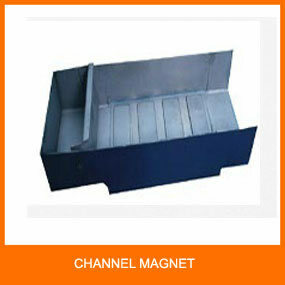 Channel magnet is a series of magnets cleverly arranged in series. 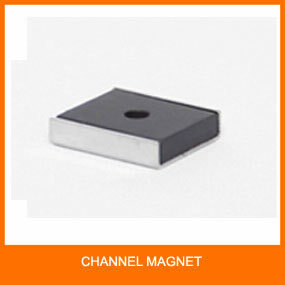 Operational surface of channel magnets can be adjusted and expanded as per requirements. 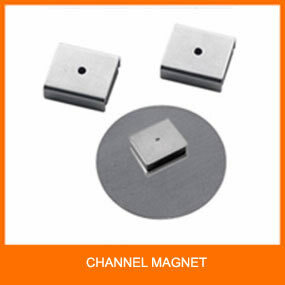 Channel magnets contain zinc plated steel parts placed in ceramic material. It is provided with holes for convenient mounting and it can be mounting in series as per need. Channel magnets are used with hoarding and various kinds of sign boards. To make tight holding of banners and blueprints, channel magnets are used. It helps these hoardings, banners and boards to obtain steady position.